With 45,000 years of practice at Dota 2 under its belt, the system looked unstoppable — deftly navigating strategic decisions and racing to press its advantages with uncannily good judgment. The OpenAI researchers I spoke to pointed out that excluding summons and illusions actually helps the humans — controlling the detailed movements of lots of units is the kind of thing AIs are very good at. One thing to look for in evaluating the performance of an AI system on a strategy game is whether it’s merely winning with what gamers call “micro” — the second-to-second positioning and attack skills where a computer’s reflexes are a huge advantage. AI systems were capable of some cool stuff — speech recognition was rapidly advancing, AlphaGo had just won 4 out of 5 matches with a top Go player, and companies were optimistic that they could make progress on tough problems like autonomous vehicles and translation. 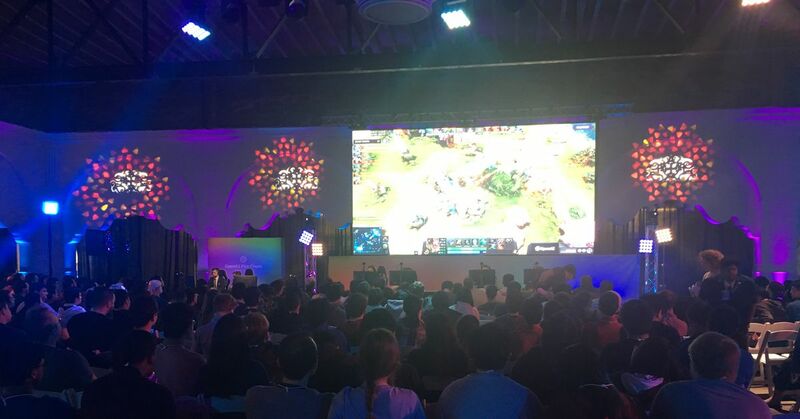 OpenAI’s competition triumph against a Dota 2 pro team isn’t even the first such event this year; in January, their competitor DeepMind rolled out a bot that competes with the pros at Starcraft, which won its matches 10-1.